1. First of all, there is a new Protocol, 802.11ax so it's going to be after ac which is the current latest one. There is also going to be a new naming system so it's not going to call ax, ac or anymore. They are going to changing that. And finally, we are getting a new Security Protocol to replace WPA2 and that is going to work better. So first of these is 802.11ax Wi-Fi. First of all ax, Wi-Fi is going to be much faster theoretically up to about 10 Gbps! over wireless. This is pretty crazy and also it is gonna be still using the 2.4 GHz and 5 GHz spectrums. So it's not gonna be like some of the other ones there are like Super High Frequency but they can't go through walls or some nonsense like that its still going to be covering the whole area. There is going to be some technical improvements that are going to increase the reliability of ax Wi-Fi and particularly in crowded areas whether that in public or maybe in your apartment building or everyone has a router obviously, it should make much more reliable. Some of the first routers that supported ax or actually announced already. One of the examples is a Net router which looks suspiciously like certain star warship but I am not gonna judge and I think in the early months of 2019 we are probably going to see most high-end consumer routers by many factories like Pushing out ax Wi-Fi and potentially the next iPhone and the new Flagship phones might have ax, I don't know we can only help. 2. The next big change is the naming system so obviously we just talk about ax and the other recent one is ac and their n, g, and b these letters are pretty much arbitrary and I think many people who are not technically inclined have no idea which one is the better than the other and which one is the latest and any another like that what is 802.11ax, what is the hack is that you don't have to worry about that anymore. Now, these protocol names are going to be replaced with numbers. So 802.11ax is gonna be Wi-Fi 6, 802.11ac is gonna be Wi-Fi 5, 802.11n is gonna be Wi-Fi 4 and so on going back and also of course in the future it will be like 7,8,9. 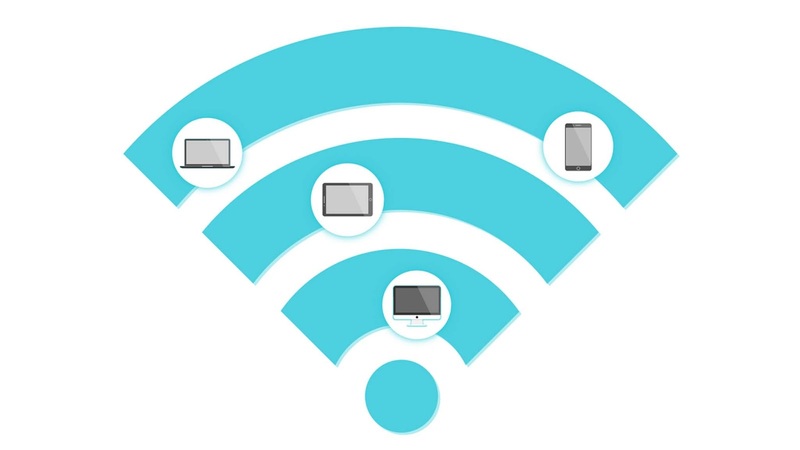 The Wi-Fi aligns to create these standards also recommended some symbols you could use in the absence things, there may be a logo on a router to show the version of Wi-Fi so this will be a lot easier to consumers to know what version of the router they are getting. I think also future will prove all the things so instead of choosing some random letters in the future and get some super complicated, very easy what comes after the next generation the next number very simple. Now I do believe that the actual underline protocols will still be there for the technical people if they want to know so you could still call it 802.11ax but the consumer version is basically be called Wi-Fi 6. 3. Alright, so the final measure upgrade is WPA3 Security Protocol so you know we have WPA2 it served us very well since like back in 2006. But it is about time for an upgrade and there are some things that can't be definitely proved on WPA2 and we are gonna get this upgrades. One of the improvement is Bruce Force Protection so it will limit the number of times you can try your password for a second or ever so it means if you have a week password it should prevent someone from Brute-forcing your connection. Also, this gonna be Individualized Encryption so that means if someone using the same password or all using the same password to connect everyone gets through an actual encryption key which is better than now where if someone has the Wi-Fi password they can still decrypt any one's connections because it all based on the same thing. It's also using a stronger 192-bit encryption key as opposed to previously 128 bit. Now 128 bit is still very strong and it has been cracked but it gonna be future perfect. And also they're going to be the possibility of very easy NFC Setup so it will be a lot of easier for setting up smart home devices instead of having the user phone to set everything up if that device supports it you should be able to hold the phone automatically connect in everything. Turned out some of the first WPA3 supported routers or actually out, I think Netgear is the first. But I am sure in the next few months we will see new routers coming out with it and potentially even previous routers will get throughout with few more update and I am not sure about that but we can only hope and of course this is gonna be a huge deal and till phones and laptops start supporting it but I think it will come on pretty quickly early in the next year and in the next couple of months. So I am pretty excited about how Wi-Fi is going to be an overhaul in all of these different areas, so hope you guys are too.